Homeowners replace their old windows for a lot of reasons. New windows can cut monthly heating and cooling bills by up to one-third and keep indoor spaces stay warm all winter and cool during summer. Window replacement can also reduce exterior noise infiltration, and with the right choice of material, you can also eliminate maintenance. A new set of windows can also add curb appeal to your home. 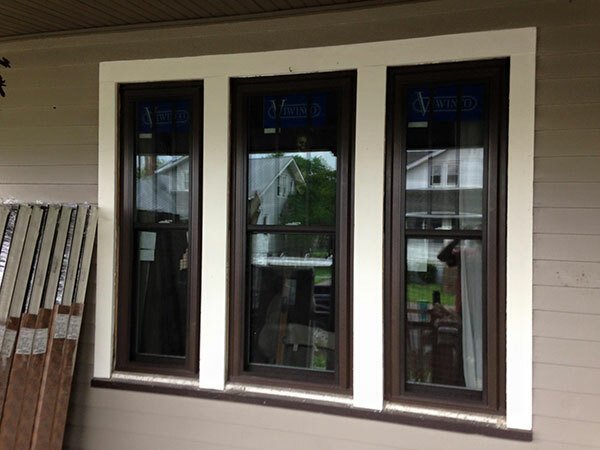 Vinyl – Vinyl windows represent the largest market share in the replacement window business. High-quality structural vinyl is affordable and strong. They also provide very good energy savings, with moderate to high R-values to help reduce heating and cooling costs. Fiberglass – Thanks to advanced manufacturing techniques, fiberglass windows are among the strongest and most energy-efficient windows available. Their components are extremely durable and can be readily fabricated and customized. The resins comprising fiberglass window components are smooth and capable of accepting a wide variety of custom, color-through colors. Aluminum – Aluminum was the first type of replacement window available and continues to be one of the strongest window materials offered. Aluminum is often used as an exterior shell to strengthen wood windows, creating what is known as “clad” windows. Composite – Composite frames combine the low maintenance of vinyl with the strength and stability of wood. Their resistance to warping, rotting, and heat transfer make them a great choice for busy homeowners who prefer the look of wood without the maintenance hassles. At Pro Exteriors, we’re very proud of our expertise as roofers, but we are also extremely skilled and knowledgeable when it comes to windows as well. Whether you are in need of roof repair or window replacement, we possess the skills and expertise to handle the job. Learn More About Our Window Installation Services. Contact Us Today! Call us today at (302) 664-1700 to get started on your window project today. You can also fill out our Request Form to get a free estimate.